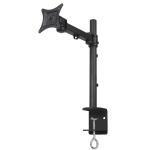 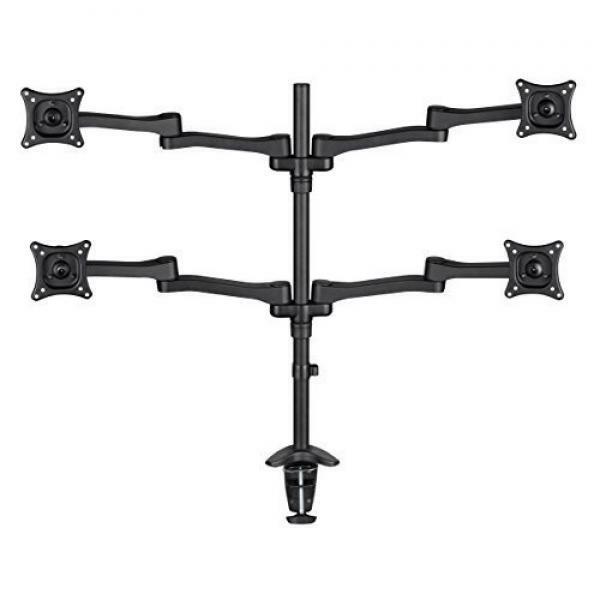 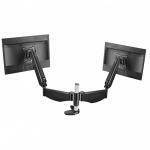 ML-MRC1404-A: Full Motion Quad LCD Desk Mount - Black - Fits 13-27"
The AVF quad head multi Position desk mount not only frees up valuable desk space, but it also places the monitors at your desired viewing position for added comfort and reduced strain. 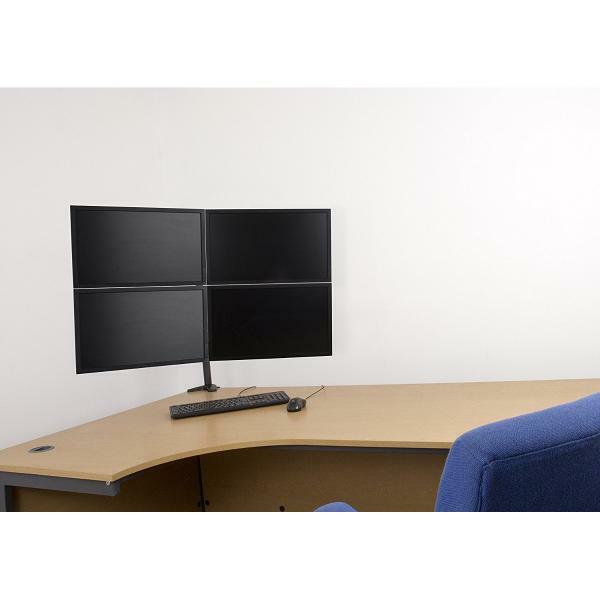 The monitors can be tilted 15 degrees and adjusted in height up to 80cm 31.6" placing them at the ideal eye level. 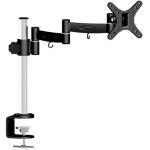 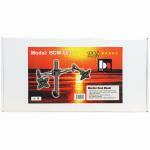 It rotates 360 degrees for easy portrait or landscape viewing.